Thanks to a thriving startup scene, an increase in the number of freelance workers and a softening commercial property market, coworking spaces have gained popularity in Singapore. With numerous such spaces being set up in Singapore, what sets one apart from others? Many coworking operators have to experiment with new ideas and sell their “Unique Solutions.” This allows them to offer clients a range of options to choose from. Design plays a huge part in creating a successful coworking space. Although these spaces are not traditional offices, much like a regular office, the design of a coworking space can directly impact business performance. It is hence essential to design them so that they enhance user experience and create a sense of community. A coworking space is meant to provide a communal work-setting for individuals from varied industries and backgrounds. It is essentially meant to be a breeding ground for new ideas and collaboration. However, just because a number of people share a space does not mean that collaboration will organically occur. This is why elements to facilitate increased interaction are necessary. Open work spaces consisting of large round tables or long tables are one option that many coworking spaces adopt. Being in close proximity to others without the barriers of cubicles naturally encourages greater collaboration. Additionally, nothing brings people together like food, so it may be worthwhile to make sure the kitchen or pantry is comfortable. Sofas or high chairs at a counter can create a cafe-like atmosphere that allows people to get comfy and strike up a conversation. Eaton Club Hong Kong illustrates how a coworking space can effectively allow users to mix work with leisure. The work area sits next to a lounge where there is a bar available for users. This creates a comfortable setting to network and entertain clients without having to leave the office. Finding the right balance between fun and formal is key in enhancing interaction between users. Conversely, coworking spaces also need to provide spaces where members can attend to work or calls in privacy. Phone booths or privacy screens could be incorporated for individuals looking for some quiet time or personal space. As many coworking space members opt to stay away from fixed tables, storage spaces are also useful for locking away private and confidential documents and belongings. Flexible working hours also means that people need comfortable spaces to rest once in awhile. These spaces can come in the form of rest pods or private nooks where one can temporarily escape from the bustle of work. Introducing nature into the space also helps to boost serenity and calmness. Biophilic elements can come in the form of plants, ecowalls, natural lighting and the use of natural materials like wood and stone. Incorporating these can bring about physical and psychological benefits and improve productivity and creativity. Many coworking spaces in Singapore rent out meeting rooms by the hour. 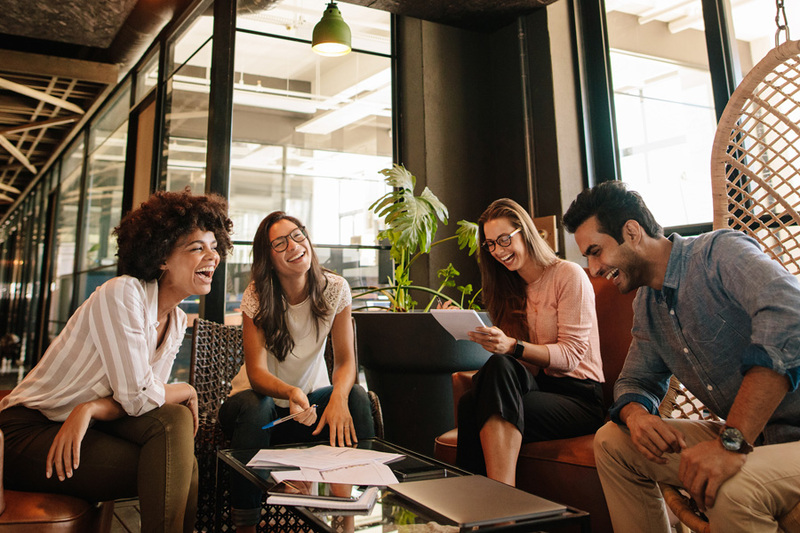 As it can be hard to predict the size of the group that may use the room, coworking spaces should provide a range of meeting spaces that cater from two to twenty people. This would allow the space to be maximised. Some users may want spaces that portray a certain brand or image. There are coworking spaces which offer settings that are more stylish or luxurious. 1880 is one such space, marketed as a luxurious members-only club for individuals from various industries to network. It offers an all-day-dining restaurant, cafe and cocktail bar and member’s lounge, amongst other spaces. A big crystal centrepiece from Madagascar stands out amidst the tasteful decor and functions as a conversation-starter amongst patrons. Although some coworking spaces are more exclusive and are specifically catered to such clients, most still cater to a larger range of users, through the incorporation of multiple spaces that are designed differently. Using a range of colour schemes and furniture allows clients to choose a space that best suits their needs. As mentioned earlier, Singapore is an oasis for SMEs, startups and incubators, which tend to be cost conscious about capital expenditure. Coworking spaces appeal to these entities as they provide flexibility, especially in the early stage of their formation. However, this also means that tenant numbers will fluctuate and the needs of users will change. Short term leases and flexible models which can be scaled up or down work best for such organisations. Therefore, a fixed layout in a coworking area prevents space from being utilised effectively. Elements that allow the area to be moulded according to shifting needs would be the most practical way to optimise the use of space. Retractable walls, movable tables and chairs, and numerous electrical outlets are all options that could be considered. Flexibility can also come in the form of providing variation in workspace options and furniture. For example, sitting has been deemed the new smoking and standing desks have become increasingly popular. Hot-desking is a given in most coworking spaces, but other options such as beanbag lawns or private work pods can really help to mix things up. Catering to constantly-changing needs and different personality types ultimately allows for greater user satisfaction. With no dearth of coworking spaces in Singapore, design is a great way for coworking operators to make sure their space can attract and retain clients.